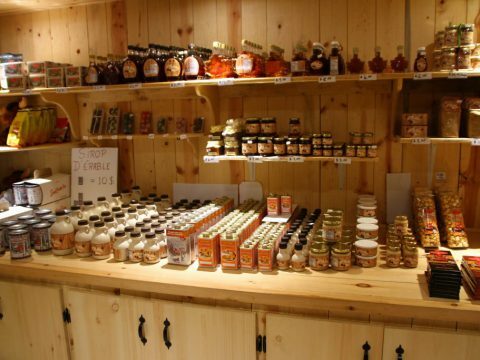 We have high quality maple products for sale: syrup, butter, jelly, sugar, candies and many kinds of souvenirs from the Island, from Quebec City and from Canada. You can come and taste our taffy on snow even during the summer months! At your request, our staff will be happy to tell you all about the process of creating our maple products. Opening hours: During the summer, we are open every day from 11:00am to 5:00pm. Between March and April, we are open on Saturdays and Sundays. We are also open on demand for any group reservation. Unfortunately, we do not ship.